Social media, arguably one of the most expansive and dominant media forms in recent times, has quickly grown to become a powerhouse of connections and information. From what started as a seemingly innocent way to connect and share our lives with friends and family, social media has transformed into an almost incomprehensibly-sized platform for practically anything you can imagine – ranging from budding a relationship to fostering a new business. Social media, whilst a great place to connect with loved ones, has brought along the opportunity for anybody and everybody to voice their opinions on almost every matter – including nutrition. With a simple web search, a world of information is readily available to be read, interpreted and used – but how can anyone be sure if that information is accurate and reliable? Sure, there are always peer-reviewed pieces with supporting evidence on most topics, however the average person is probably much more likely to open that one webpage with the catchiest, most interesting and often erroneous title about that one superfood that can cure cancer than a long journal with industry jargon. Soon enough, that false information can easily spread from one person to another like wildfire through posts and comments on social media platforms, infecting each and every person like a virus until it is ultimately accepted as the norm. With the ever-increasing number of people using social media – almost 8 in 10 Australians – businesses have seen and begun responding to the huge opportunity social media has provided to increase sales and exposure. Products such as vitamin gummies, protein-laden foods and powders and meal replacement shakes are littered particularly throughout photo-sharing media outlets, such as Instagram, as businesses sponsor celebrities and social media influencers with mass followings to share their products in their posts and make them appear far more appealing than a simple advertisement would. Who wouldn’t be intrigued by someone toned, tanned and fit telling you that you can look just as good as them simply by consuming the exact same product they’re holding in their picture – it’s that simple, right? However, in reality, these products often have little to no nutritional benefits for us regular folk, and these posts are often absent of an explanation as to what these products really contain and what they are supposed to be used for – unfortunately, and strategically, all people see is the pretty packaging and the pretty people selling those products. But surely there’s a positive – right? Amidst the Instagram sponsorships and the self-appointed Google nutritionists, social media has created an awareness towards healthy eating like no other. 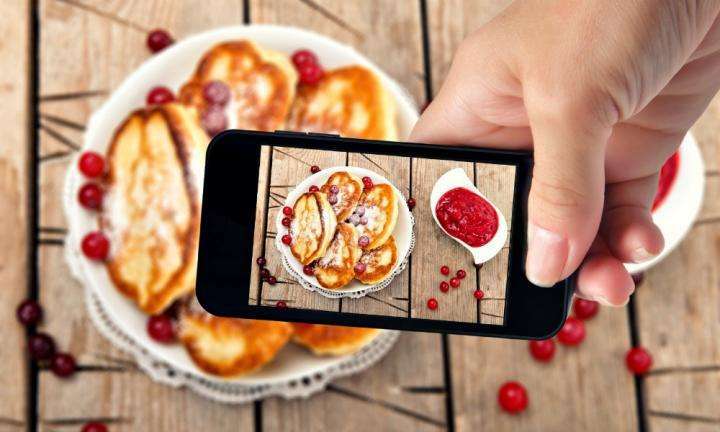 ‘Instagram-worthy’ dishes, often composed of bright, colourful and – most importantly -healthy foods, have become the latest trend on social media. By showing that healthier food options – such as fruits, vegetables and legumes – can be crafted into works of art on a plate, can serve as a source of inspiration to those who may often see vegetables as dull and boring. Hashtags such as #meatlessmonday and lifestyles such as vegetarianism and veganism have ridden the social media wave effortlessly, bringing light to the issue of excessive meat consumption in our society and consequently making people aware of the impacts of meat consumption on our physical health and the environment. Social media has become a hub of inspiration, of food sharing, of food knowledge and education alike. As a dietetics student, social media has become a personal haven to connect and learn alongside others that share a mutual passion for food and nutrition, and to allow me to grow and learn alongside some of the best in the industry. 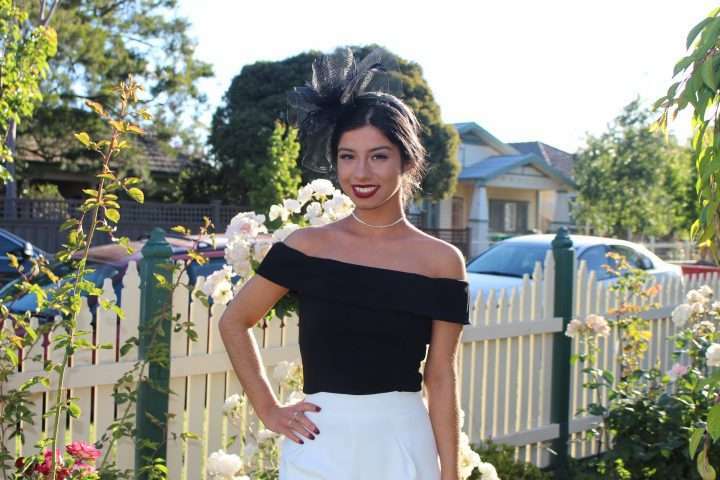 The world-wide web has reignited the spark for hearty, good quality food in the lives of everyday people, and who knows – a simple scroll through Instagram could inspire a future industry-leading dietitian to discover and pursue their dream.